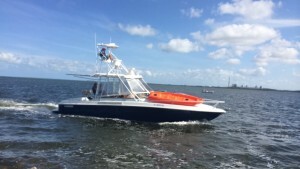 HOMESTEAD, Fla. — Biscayne National Park is the largest marine park in the U.S. It is a public park managed by the National Park Service that is located near Homestead and here. Portions of the park are an offshore barrier reef. A total of 95 percent of the park is made up of water, making the main means of transportation to be personal boats and charter ferries. Many people have lived in the U.S. for years and have never heard of this public park. 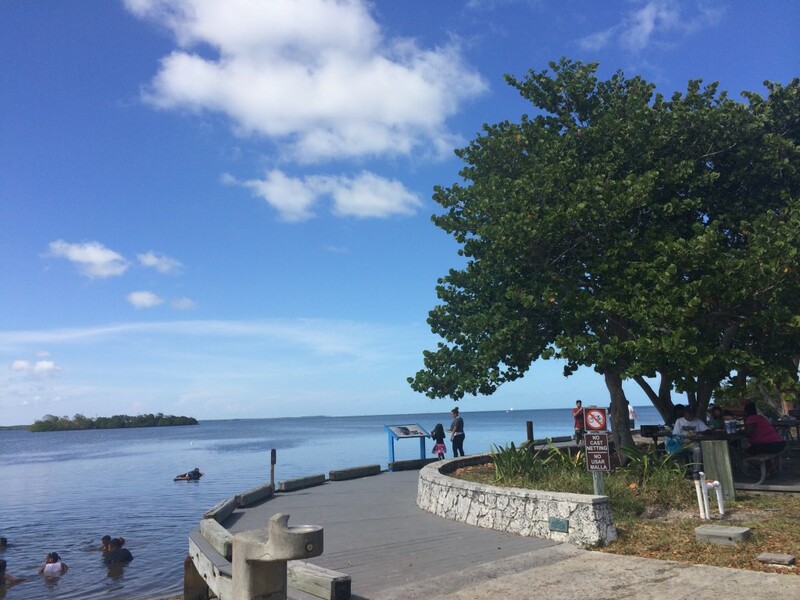 about Biscayne National Park prepared by Hanya Al Khamis. The park is not given the same attention in news media as is its sister park, the Everglades. Biscayne National Park could become a major tourist attraction if more people knew about it. Miami-Dade County is home to two national parks, both Biscayne and the Everglades. In fact, Miami-Dade County is the only county in the U.S. to have two national parks. The older and larger of the two, Everglades National Park, has been given more attention, but why? “The park has developed some very popular programs to raise its profile in the community and bring more visitors to the park, especially children and families,” said John Adornato, regional director, and Jacqueline Crucet, program analyst, for the National Parks Conservation Association’s Sun Coast Region based in Hollywood, Fla. in a recent e-mail interview. Private boats are one of the main forms of transportation at Biscayne National Park (Photos by Hanya Al Khamis). “Some examples: The monthly Family Fun Fest programs that target children and families, the Community Artist Program that showcases the work of local artists in the community, and the park’s environmental education program that brings fourth, fifth and sixth grade students to the park throughout the school year or day programs and overnight camping trips,” they added. “The National Parks Conservation Association provides funding for each of these programs,” said Adornato and Crucet, noting some methods used to gain media attention. Don Finefrock is the executive director of the South Florida National Parks Trust, based in Coral Gables. He was asked why the park seems unfamiliar to many people and if it is it because the park currently lacks a concessionaire. 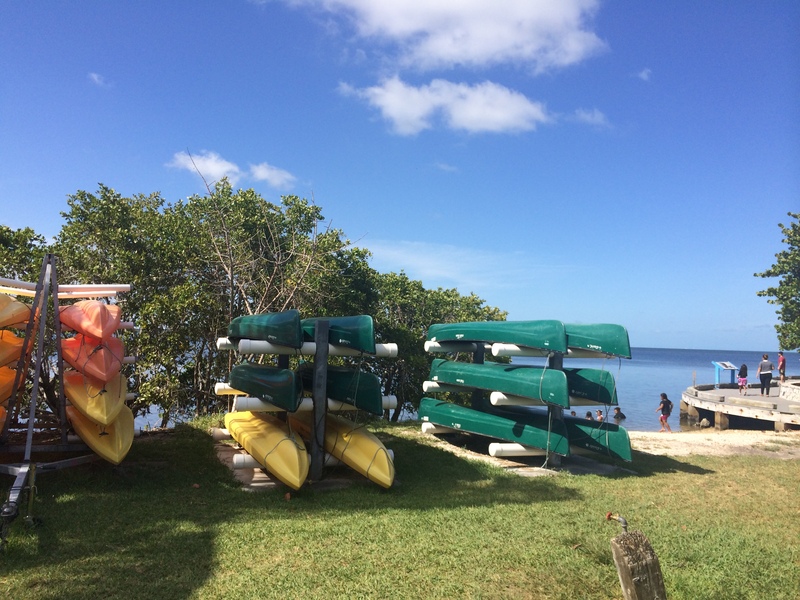 Kayaks and canoes are available for rental by park visitors who are interested in getting on the water. Gary Bremen, a long-time ranger in the Biscayne National Park, said the park has used several strategies to promote visitation. There are some very traditional ways, of course, like visitor centers, brochures and news media releases. “We are active on social media, first starting with Twitter, then largely changing to Facebook, and just in the past week by joining Instagram,” Bremen stated. 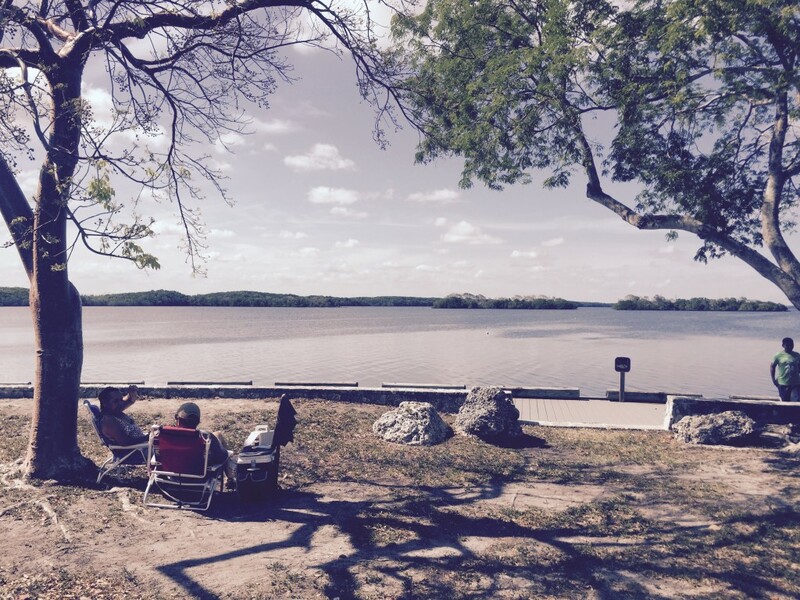 “We had quite a bit of success with Facebook ads sponsored by the South Florida National Parks Trust this past winter to promote Family Fun Fest. The picnic area is a lovely getaway where families and friends can enjoy the fresh air and the blue ocean water. “We have changing art exhibits four times a year, and Special Events like Family Fun Fest five times a year. These programs are always different, so they offer local folks a reason to come back and discover their national park again and again. We do outreach programs (last week, I spoke to about 125 eighth graders in five classes in one day as part of a science immersion day at Pioneer Middle School,” Bremen stated. The Homestead national parks trolley just wrapped up its second winter season, which was expanded and also quite successful. The trolley provides free transportation between Biscayne and Everglades national parks, with stops in downtown Homestead. SFNPT’s Finefrock said the trolley has been effective so far. A wide boardwalk ideal for strolling is located along the coast at the Fascell Visitor Center at Convoy Point. A man named Kevin, who did not want to use his full name, had known about this park for 15 years but only visited twice. He said the reason was the difficulty of finding parking and the fact that he was unable to find boat rides at the park that would take him around — as a leisurely attraction. A couple, Melissa and Dylan, who also preferred to use only their first names, have known about the park for some time now, complained about how they also had difficulty finding parking and the fact that they did not find a sign to lead people to this park. Still, they described it as being a “hidden gem.” They noted it was a shame that more people did not know about this park because it is in fact a beautiful place to be. 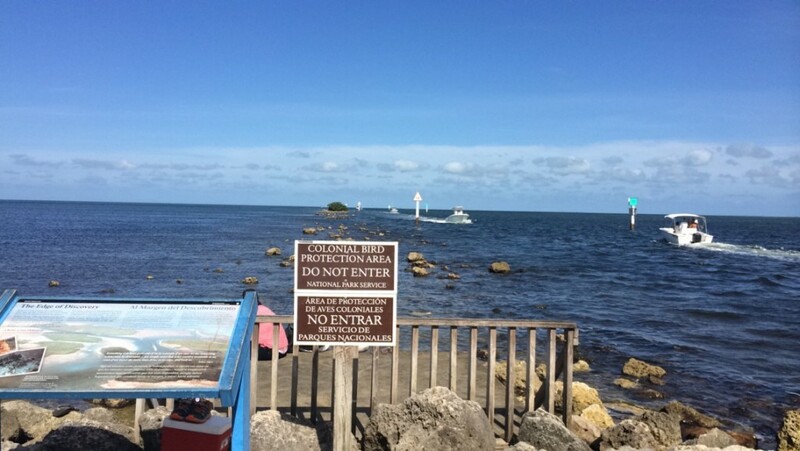 The jetty walkway at the Dante Fascell Visitor Center ends with an unobstructed east view of Biscayne Bay.